The automatic filling machine is based on the introduction, digestion and absorption of foreign advanced technology by Well Machinery. According to the requirements of the filling process, an advanced level of filling equipment is developed, which integrates washing, filling and capping. The automatic filling machine is one of the necessary equipments for the production and processing of many food, beverage, medicine and daily chemical enterprises. It plays an increasingly important role in our life. Therefore, many companies need to purchase automatic filling equipment to help achieve production. Turn the switch under the liquid storage tank to the open position, so that the material can flow into the total metering pump. According to the total filling amount of each container, adjust the screw on the crank and rotate the knob of the filling speed control board to about 20 degrees. Then turn the switch on the filling speed control board to the open position. After the automatic filling machine is installed, the filling rail and the bottle receiving tray are leveled, the liquid storage tank is filled with materials, and all the electrical switches are in the closed position. After the automatic filling machine is used, pay attention to its maintenance. When removing and removing the piston during maintenance, remove the fixing screws at the same time to avoid affecting the other process requirements when removing the first one. The remaining product should be removed before the piston automatic filling machine is cleaned. The cylinder has been lubricated at the factory. Please do not open or add any lubricating oil to ensure that the surface of the three-in-one filling machine is clean and hygienic. The filling method of Well Machinery automatic filling machine is isostatic rotary filling. The filling valve is designed for special structure, the filling speed is fast and stable, and the efficiency is high. The sealing part is automatically fed and automatically sealed. Based on the three-in-one bottled water, the bottle washing, filling and sealing are integrated. 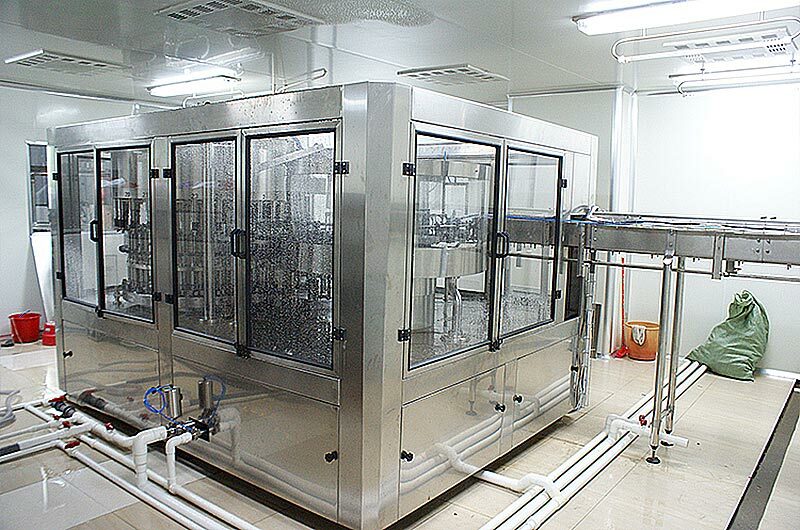 It is not used in the traditional straight-line filling method for large bottles, which improves the automation, reduces the floor space and reduces the area. The number of operators reduces labor costs.